What Are the Most Energy Efficient Patio Doors? How Do I Find Energy Efficient Patio Doors? If you’re looking to save money on your home’s energy costs, you don’t have to look any further than its patio doors. After all, patio doors are one area of the home that can contribute to significant air leakage which forces your home’s heating and cooling systems to work harder. How do you find energy efficient patio doors? Here are some factors to aid you in your search. What Makes Patio Doors Energy Efficient? You’ll want to begin with the door’s construction. Things to look for include its sealing and thickness. Why? Because seals affect thermal performance, so a door that has thicker thermal sashes will perform better than one that has conventional sealing that wears over time and delivers less insulation. Meanwhile, the thickness of the door can protect against conduction, which is another factor that affects energy efficiency. 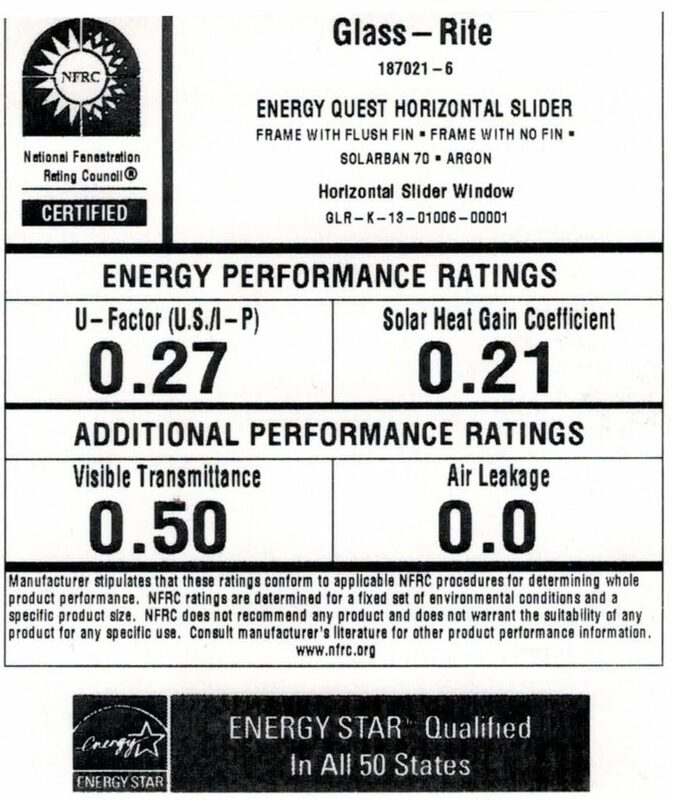 Is There a Difference Between ENERGY STAR and NFRC Labels? ENERGY STAR labels help you determine which products deliver enough efficiency to earn their certification. Meanwhile, the NFRC labels give you the information you need to make comparisons between the most efficient doors available. When shopping for patio doors, some of the most common are conventional glass models. The problem with these according to the U.S. Department of Energy is glass doors are poor insulators. However, there are ways to counteract this inefficiency. The first is to choose a patio door from Seemray. We construct our doors with quality German parts and enhance thermal performance through quality seals. These seals prevent air loss from occurring, which saves you money on your energy bills. Moreover, because we deliver superior craftsmanship, our doors stand the test of time and use. This means you’ll have to do minimal maintenance over the life of ownership and you won’t have to replace them, saving you money in two more ways. Our windows also come in a wide variety of styles including lift and slide and tilt and slide. In the case of tilt and slide, you gain more efficiency because you can tilt open your door inwardly to enjoy the outdoors on nice days, giving your home’s heating and cooling systems a break. Overall, when choosing energy efficient patio doors, Seemray has you covered. To learn more about our doors or to receive your free quote, contact our helpful staff today.